xCount How many elements to fit in the horizontal direction. The elements will be scaled to fit unless the style defines a fixedWidth to use. The height of the control will be determined from the number of elements. 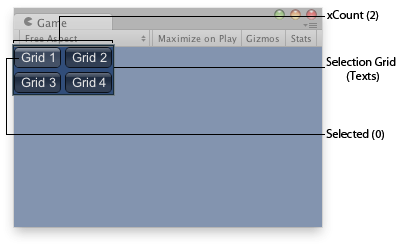 Selection grid in the Game View.